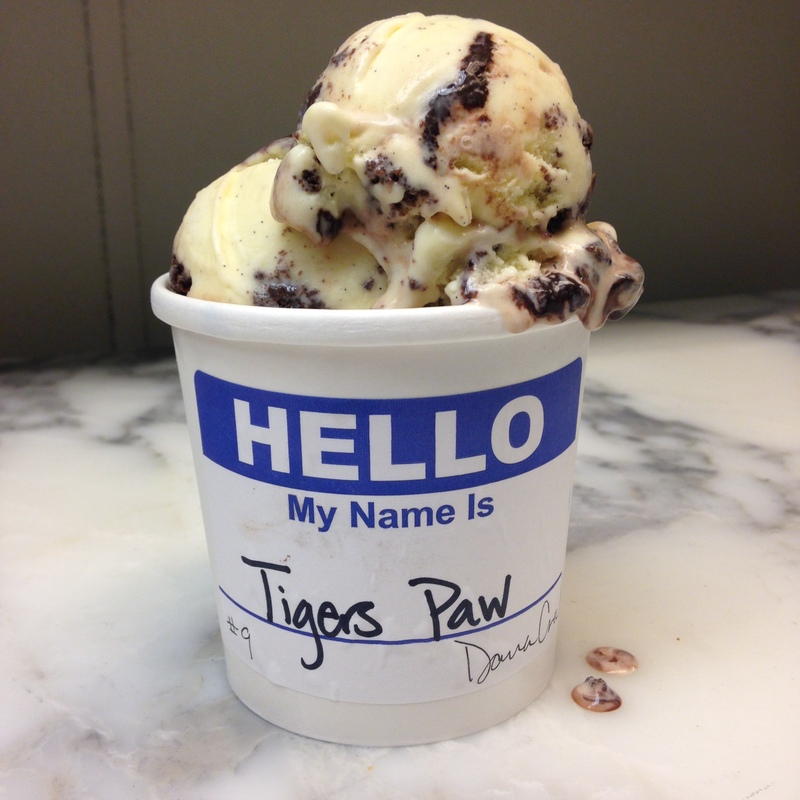 Tigers Paw is an homage flavor, honoring the regional ice cream shop Whiteys. A rich vanilla custard is streaked with a fudge ripple, and chunks of chocolate cookies are strewn throughout. The animal lover in me was happy to call it Tigers Paw without explanation, but when I started scooping the ice cream I saw the streaks of fudge looked like the claws of a tiger had swiped dark chocolatey scratch marks into the ice cream!